Leche flan which literally means milk custard is one of the influences that Spain left in our cuisine. 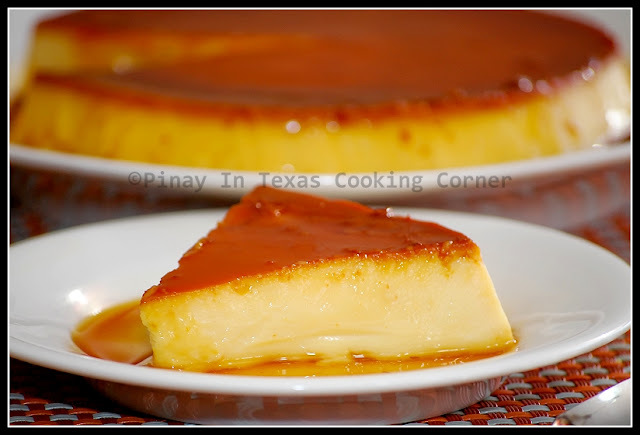 It is the Filipino version of caramel custard which is almost similar to Mexican or Spanish flan, the difference being the Philippine version uses only egg yolks which gives it a creamier texture, and is steamed as compared to caramel custard which is baked quite often. 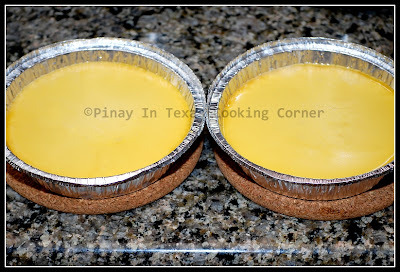 In the Philippines, leche flan has traditionally been cooked in oval-shaped aluminum molds which we call “llanera”. But it’s ok to use any steamer-safe or oven-safe (in case you want to bake it) mold you prefer. Leche Flan is probably one of the best known desserts in Philippines. It is often served in fiestas, parties and social gatherings. The dessert table is just not complete without it. The delicious brown caramel topping makes it irresistible…but wait until you take a bite of the custard filling --- it’s unforgettably delicious! If you are thinking of what to do with the egg whites, you can always use them to make meringue kisses. * I shared this on What's Cooking Wednesday, What's on the Menu Wednesday, Real Food Wednesday, Miz Helen's Country Cottage's Full Plate Thursday and It's a Keeper Thursday. 1. In a clean stainless steel saucepan, melt ½ cup sugar over medium low heat until it is bubbling and brown. Don't use a non-stick pan because sugar won't melt well on it. Be patient. Do not stir at all. Just swirl the pan gently once some color begins to appear. Do not overcook the sugar or you will end with a bitter taste on your flan. 2. Once you have achieved the desired color, pour into the molds. (I used two 7-in round aluminum pans). Swirl to coat the bottom of the mold. 3. Next, prepare the flan. In a mixing bowl place 12 large egg yolks (whites carefully separated). Using a whisk, gently beat the egg yolks. 4. 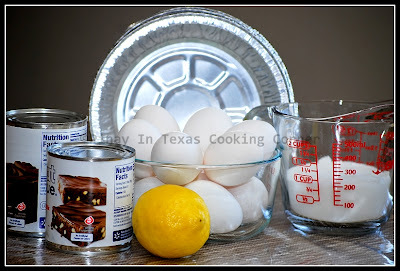 Add the evaporated milk, condensed milk and lemon rinds. Mix thoroughly using a whisk, but gently so as not to agitate the mixture too much and add bubbles that will get in your cooked flan. Strain through a fine sieve (or cloth). Fill each mold with the egg-milk mixture until almost full. Don’t worry that it will overflow as it cooks. 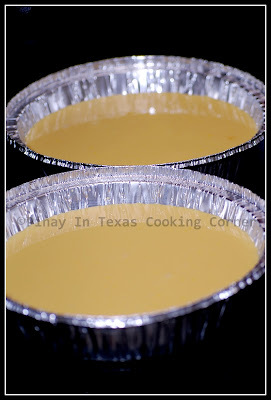 Leche flan does not rise nor expand during cooking — it only becomes firm. 4. Cover molds individually with aluminum foil. Arrange in steamer and steam over low heat for about 45 minutes to 1 hour or until the flan is well set. 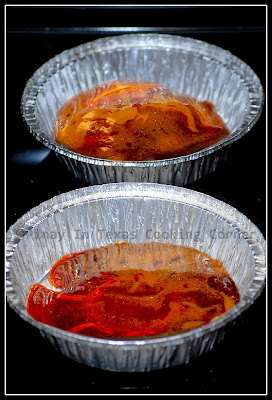 Steaming over low heat will help reduce bubbles forming inside the flan). 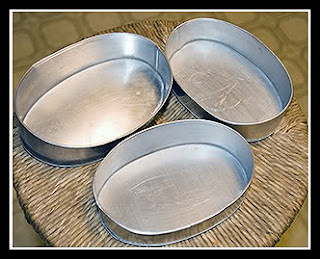 OR Place the molds on a larger baking pan half filled with very hot water. Bake at 375 degrees for about 45 minutes in a preheated oven. 5. Remove from heat. Cool it down before serving. 6. 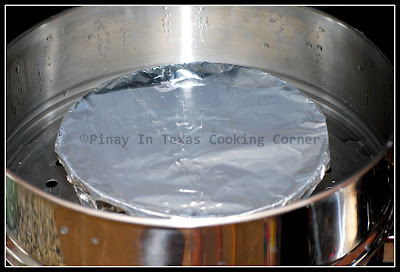 Run a thin knife around the edges of the pan to loosen the Leche Flan. Place a platter on top of the pan and quickly turn upside down to position the golden brown caramel on top. Serve! For us Tina, we call this custard caramel, I love this very much although can't take much because its so rich, what more with plenty of egg yolks. i would love to eat one right away, they're gorgeous !! Looks delicious, very similar to a creme caramel. I've made Crème Brûlée before but not the flan,looks yummy! They look delicious - can't wait to try it! E' possibile fare senza il latte evaporato? Perché qua in Italia è difficile da trovare. Tina, you comments are SO sweet! Thanks a lot! These flans looks awsm .. i always thought it's a BIG task to make those, but you made it sound so easy :) !! love it! I am following you back from the hop. I liked your Facebook page and followed on google. I love all the recipes. If you would be interested in featuring some on my site with a link back let me know. My readers would love them! We especially like quick & easy! Thanks for following Just Wedeminute, I'm following you back! Looks delicious. I'm a new follower from the blog hop. Thanks for checking out my blog. Thanks for the follow! You have a new follower..
Hi there! Thanks for the follow, following you back! These look yummy! It looks like the creme caramel we make here! Next to chocolate these creamy sweets are my favorite! Really beautiful, Tina! I can't believe that I've never had Flan but would love to try it sometime. You're instructions will be helpful if I do! Thanks so much for sharing!!! And thanks again so much for my awards, I'll be working on that post later today, yay! beautiful! I just want to crawl into that photo and eat! Tina, your custard is so perfect!! I'm sorta drooling ... great job! Those are so cute and I'm a fan of the caramel flavors! 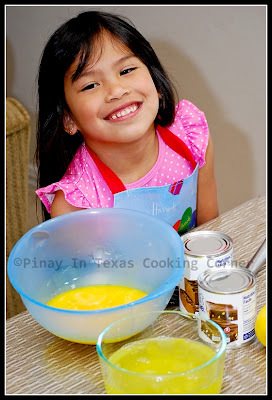 Oh my, we love Leche Flan and your recipe looks delicious. I would love to have this for my dessert today, yum! Thank you so much for sharing with Full Plate Thursday and hope to see you next week! Hi there! I'm from Manila, and was pleased to find you at Wedeminute's blog hop. Siyempre, I clicked the first thing that said "pinay." I am a new follower...you got some yummy recipe here. I can't wait to try some in my kitchen. following you back! thanks for the visit! Flan is always such a smooth and pleasing dessert. I haven't made it in a bit...well, the waistline tells me not to:) Thanks so much for linking up to What's On the Menu Wednesday at Dining With Debbie. I hope you will visit often and link up whenever your can. This looks totally droolworthy ... I haven't made this in some time ... thanks for reminding me of this - will make it soon!!! Hi, I'm so glad that I found your blog in Flickr group-Food I Cook/I Made! It is so decadent and wonderful that really I can't say much else except HEAVEN! Hi Tina! I think the lemon rind is a good twist. I grew up loving the lime rind flavor and haven't tried lemon. Thanks for this new twist!